Come home to beautiful Avalon! 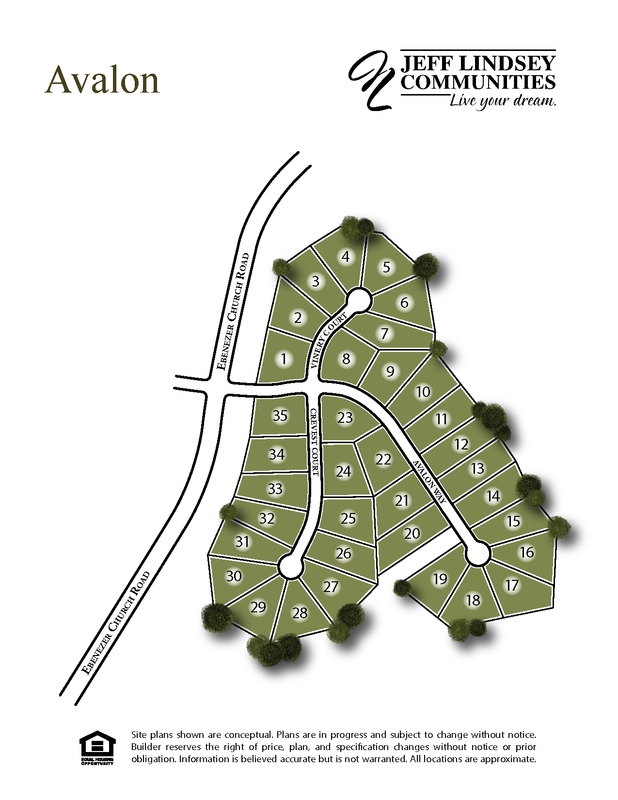 Live your dream at this exclusive Jeff Lindsey Communities subdivision. Thirty eight one-acre lots just minutes from Thomas Crossroads and historic Old Town Sharpsburg. Convenient to Interstate 85, local shopping and fine dining. Call today to reserve your Lot! From Peachtree City, travel Hwy 34 West to Hwy 154. Go south on Hwy 154. Travel 1.7 miles to Ebenezer Church Rd. Turn left, travel .6 miles. Avalon will be on the right. From Newnan, travel Hwy 34 East to Hwy 154. Go south on Hwy 154. Travel 1.7 miles to Ebenezer Church Rd. Turn left and travel .6 miles. Avalon will be on the right.